We are a sailing club located at Gull Lake, just Northeast of Kalamazoo, Michigan. Established in 2018, our members have been sailing and racing sailboats for many years. While the club is mostly focused on sailing Sunfish class dinghy’s, other classes are certainly welcome! Have you sailed before? Has it been “years” since you’ve sailed? Come on out and join us at our week day races on Wednesday evenings! Races begin at 6:30, so arrive early! See the Notice of Race Series for more information! 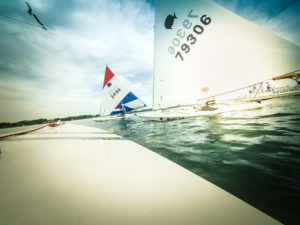 The club hosts an annual regatta that brings in sailors from all around the country. This year, the Gull Lake Regatta is scheduled to take place on August 10-11 at Prairieville Township Park. 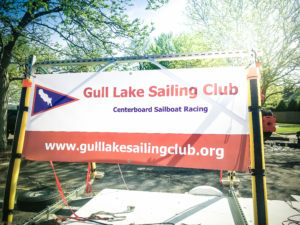 Please contact us for more information at info@gulllakesailingclub.org.